LOUISVILLE, Ky. & KANSAS CITY, Mo. "Veterans’ health and wellness concerns continue to remain a top priority for the VFW"
LOUISVILLE, Ky. & KANSAS CITY, Mo.--(BUSINESS WIRE)--Humana Inc. (NYSE: HUM), one of the nation’s leading health and well-being companies, through the Humana MarketPoint organization, has enhanced its exclusive agreement with the Veterans of Foreign Wars of the U.S. (VFW), the nation’s largest organization of war veterans and the oldest major veterans’ organization in the U.S1. As part of this expanded relationship, Humana is the national Medicare Advantage (MA), Prescription Drug Plan (PDP) and Medicare Supplement plans carrier for the VFW with exclusive marketing and promotional rights to the VFW. The 750,000+ members of the VFW, and their spouses, who are eligible, or approaching eligibility, for Medicare, will get seamless education, guidance and access to these plans. As part of the agreement, Humana will offer numerous services to VFW members, which will provide access to healthcare coverage information. Hosting Medicare seminars annually during Medicare’s Fall Annual Election Period (Oct. 15 through Dec. 7). Conducting educational seminars throughout the year to inform VFW members of their Medicare options. Providing VFW members with access to Humana’s Medicare Advantage (MA), Prescription Drug Plan (PDP), and Medicare Supplement information and enrollment capabilities which incorporate web-based tools, in-home appointments, call centers, educational seminars, and self-enrollment. In addition to providing quality health care benefits to veterans and their families, Humana is committed to employing veterans and their spouses, and has hired more than 4,000 veterans and military spouses since 2011. Humana Military was awarded the TRICARE East Region contract which covers 6 million lives across a 30-state region. This is the largest TRICARE contract to date and it takes effect Jan. 1, 2018. Humana has donated $1 million to the Entrepreneurship Bootcamp for Veterans with Disabilities, a national program that offers cutting-edge training in entrepreneurship and small-business management at no cost to post-9/11 veterans. 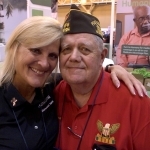 For information about Humana or the VFW, please visit- https://www.humana.com/ or https://www.vfw.org/. The Veterans of Foreign Wars of the U.S. is the nation's largest and oldest major war veterans’ organization. Founded in 1899 and chartered by Congress in 1936, the VFW is comprised entirely of eligible veterans and military service members from the active, Guard and Reserve forces. 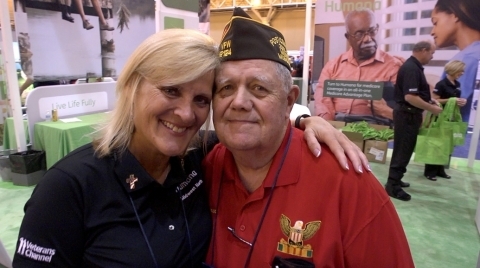 With nearly 1.7 million VFW and Auxiliary members located in nearly 6,400 Posts worldwide, the nonprofit veterans’ service organization is proud to proclaim “NO ONE DOES MORE FOR VETERANS” than the VFW, which is dedicated to veterans’ service, legislative advocacy, and military and community service programs. For more information or to join, visit our website at www.vfw.org. Humana is a Medicare Advantage HMO, PPO, and PFFS organization and stand-alone prescription drug plan with a Medicare contract. Enrollment in any Humana plan depends on contract renewal. 1 The agreement does not establish any group health plan nor does the agreement obligate any individual VFW member to purchase a Humana MA, PDP, or Medicare Supplement product.